Rummy is not just a card game; it’s a game that analyzes human psychology and behavior. Online rummy can help understand certain behavioral patterns that can offer a deep insight into an individual’s personality. In order to analyze the behavior, there are five habits that you need to look for or rather develop to be good at rummy. The right strategy to win a game of Indian rummy game may differ from person to person. Going after a particular suit may be the ideal strategy for one, while bluffing may be for another. However, the thumb rule remains that Indian Rummy requires some quick manipulation of cards to form a sequence. 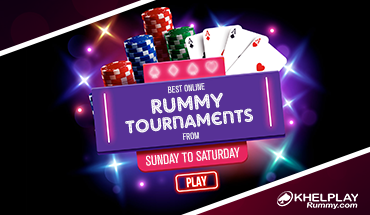 Identifying the rummy strategy that works best for you is one good habit every professional rummy player owns. Practice is one good way to identify a game plan that works in your favor. Once you have identified the best rummy winning strategy for you, stick to it. One thing that sets apart professional rummy players from novices is that they are good observers. Professionals always analyze the playing style of their opponents and try to predict the cards the opponents hold. All cards picked and discarded by the opponents will be monitored closely. They do not make rash or quick decisions, but try to stick to the basics and are constantly vigilant about the game and its players. If you wish to hone your observational skills, choose to play with low stakes and observe your fellow players first. Once you are confident, you can increase your bets. Those who are pros at rummy don’t get too excited with a winning streak on the first few hands. New careless players will start increasing the bet amount if they win a couple of hands in the beginning. Wise ones, on the other hand, will always set a limit for themselves and ensure that they do not exceed it. Most professional rummy players choose to bet moderately and raise the bar with small increments when they have a good hand. The main rule holds good always – Avoid the extreme sides and choose a middle path. Follow this mantra to ensure you win more and lose less. 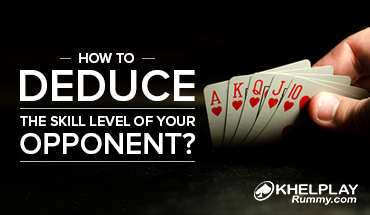 One of the key things while playing rummy online cash games is knowing when to drop. Sometimes, an amateur may join a table that includes all professional players. If you identify that, it’s best to drop and join another table. It’s only fair to play a game with those who share the same skill level as yours. Also, if you do not have any matching cards at the beginning, dropping out of the game is a sensible decision. The key is to know when to move out than to let greed do the talking. Even professional players have bad days. Sometimes the best of gaming strategies fail to show positive results, but it’s not the end of the road. Surely, you shouldn’t fret much about it, instead, relax and take a break. May be too much of stress is not allowing you to concentrate enough. Losing is part of the gaming experience, and all go through it. You shouldn’t feel pressurized, instead appreciate the opponent who could make you lose. Simultaneously, start reading up on rummy strategies that can help improve your knowledge about the game. Patience and practice can help you stay calm and enable you to fight obstacles effectively. I am glad to have come across this blog. It gives some really useful tips. I especially like the know when to drop tip. Every time I played rummy game, even though I knew I won’t be winning, I was too nervous to drop. I am definitely going to apply these rules from tonight. Also, I am sharing this link with all my friends. I am sure they too will benefit from this. Hi, I just read your blog. The pointers you shared are really insightful. Like the other blogs on your site, this one too is helpful. Keep writing such articles. I shall try to inculcate these habits in me every time I play rummy online and offline. Once again, thanks for posting this article. Just finished reading your blog. I usual read blog posts here to gain insight into various rummy strategy, tips, and tricks. This is a novel blog topic and I love the way it’s covered. Being a moderate level rummy player, I can relate to a few. I found your blog to the point and also quite useful. So I have shared it with my folks on social media.